From the pulsing action of World War Z and Logan, to the period drama of AMC’s TURN: Washington Spies, Brandon Roberts’ music can be found all over the film-scoring world today. Surrounded by the eclectic musical scene of his hometown, Carmel, CA, Brandon developed his musical interests at a young age earning awards from Clint Eastwood and The Monterey Jazz Festival. In 1995 he began studies at the University of Southern California where he composed for many of the jazz ensembles. In addition, he began writing for orchestra and soon entered into the prestigious USC Scoring for Motion Pictures & Television graduate program. Here he studied with industry greats including Elmer Bernstein and David Raksin. Upon graduating from the University of Southern California, Brandon continued composing for films, television and albums in a wide range of styles. Composition projects include such large-scale feature films as A Quiet Place, Logan, The Wolverine, and World War Z. 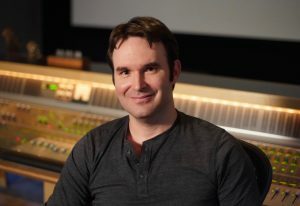 In addition, he has composed for several independent features including The Woman In Black, Warm Bodies, and The Giver. Brandon’s music can be found in acclaimed television shows as well including Battlestar Galactica, Terminator: The Sarah Connor Chronicles, V, and AMC’s Revolutionary War spy drama, TURN: Washington’s Spies. Most recently, Brandon completed the score to Unbroken: Path To Redemption for Universal Pictures, as well as a co-score with frequent collaborator Marco Beltrami for Fox’s upcoming Kirsten Stewart thriller, Underwater. Brandon resides in Tarzana, CA and is a dual-citizen of United States and Canada.